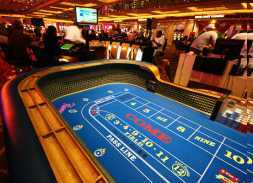 To play, each player places his ante on a marked spot on the table playing surface ("the layout") where indicated; all ante wagers must be placed prior to the dealer announcing "No more bets". 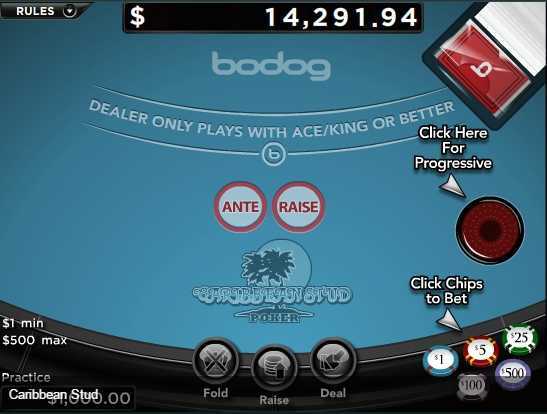 Each player also has the option to participate in the progressive jackpot feature of the game. This is also done before the dealer announces "no more bets",by dropping a chip in the slot on the table which activates the progressive jackpot light for that seat and that particular hand of play. 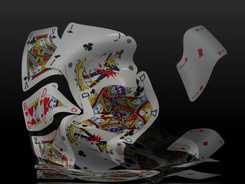 Each player and the dealer will then receive five cards, face down. The dealer will turn over one of his cards,then push the cards toward the players, after which the players may look at their cards. They may only look at their own cards, and may not discuss what they have with any other players at the table.Players have the option to either play or fold. 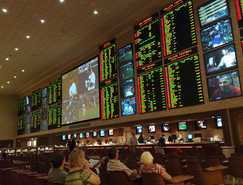 Any player choosing to play places his raise (an additional wager equal to twice the amount of the ante) into the box in front of him marked Bet. Any player who chooses to fold forfeits his ante. After all the players have made their decisions, the dealer reveals his four hole cards. The dealer only qualifies (plays) if his hand either (1) contains both an ace and a king or (2) forms a pair or any higher-ranked poker hand. The dealer then compares his five-card hand to those of the other players,individually, starting with the player farthest to his right, and both the ante and the raise bets of all players whose hands beat the dealer's qualified hand win. If the dealer's hand does not qualify, only the ante bets of player's whose hands beat the dealer's get paid while the respective raise bets all push (return to their respective players unpaid).